Nintendo UK have revealed a unique competition for which they are set to award one lucky fan with a Nintendo 3DS every week until the handheld’s launch date on March 25th. 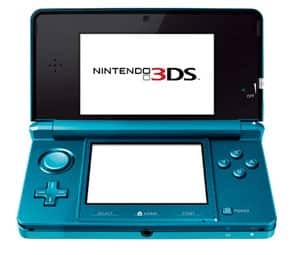 Announcing the competition through their official Nintendo 3DS Facebook page, a total of six Nintendo 3DS systems are up for grabs and all you have to do to enter is answer one simple question. However, it’s only open to those that live within the United Kingdom or Republic of Ireland, and those under the age of 18 must seek permission from either their parent or guardian before entering! Winners will then be notified by email the following day, and will receive their prize by March 31st – although we’d place our bet that Nintendo will be sure to get the systems to their recipients by launch day! Best of luck to all those that enter, and be sure to let us know if you win! i am soo lucky if i won a 3ds.i would give it to my sister because she has never hert me or made me sad. she is always there for me .even when i broke my leg 3 months a go she slept with me in the hospital.if i won this would be thank you presant to her…. i would LOVE to win a nintendo 3ds because i have no money at all and i have writen this comment on a friends laptop. all i have is a bed and a small satalite tv. but we still get POST so that is good so you could send it too me by post.